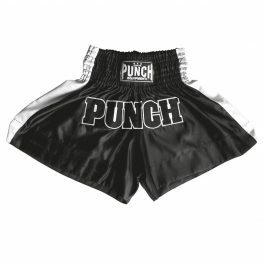 Browse the range of Muay Thai shorts available at Punch® Equipment. We sell thai shorts in a multiple range of sizes from XS to XXL. Our Muay Thai shorts are ideal for kickboxing, thai boxing, boxing and general training. We have a huge range of colours for either men or women. Punch Equipment has been around since 1989, so you can be assured that we only provide quality products.